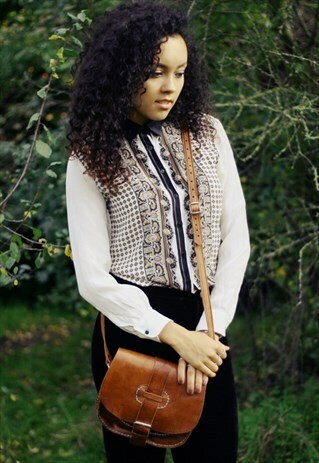 Hand made and hand stitched with genuine leather, the Moroccan saddle bag is trendy and chic. It has a front strap closure and an adjustable shoulder strap as well as a cute inside pocket. Height 7.5 inches; Width 9 inches. The untreated leather may have natural leather smell that fades away with time. Height 7.5 inches; Width 9 inches.